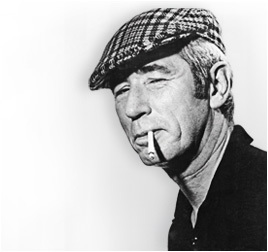 By the 1960s, Hergé - creator of the characters Tintin, Captain Haddock and Professor Calculus - was an extremely successful author. Sales of Tintin books had surpassed 10 million copies worldwide. 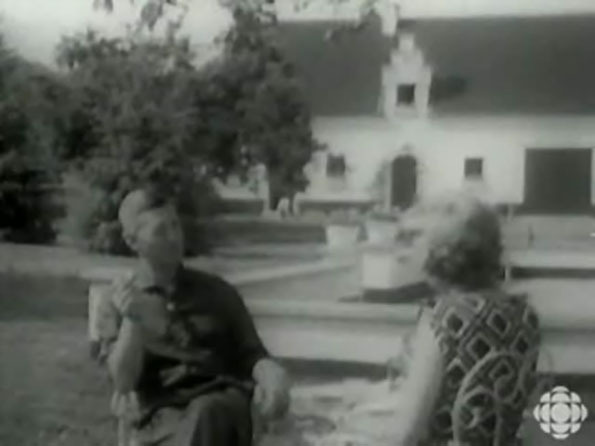 On 27 June 1962, for the occasion of Canada-Belgium week, Radio-Canada broadcast an interview with Hergé conducted by Judith Jasmin, recorded in the garden of the cartoonist's house in Céroux-Mousty. The interview shows Hergé discussing the beginning of his artistic career, Tintin's popularity with children and comic strip translations..
Radio-Canada for the programme Premier plan, 28 minutes,1962.